Using Sonia’s ABC philosophy, this revolutionary Hong Kong based program helps you overcome your fear of public speaking. By working on your Appearance, Beliefs and Communication, you are equiped with the skills needed to inspire an audience confidently and effectively. Sonia offers one-to-one personalised consultations, as well as a full-day group workshop. Over a series of five private sessions, Sonia offers a cohesive and customized intensive into public speaking. From maintaining an inviting posture, delivering a professional presentation, and still keeping a personal touch; the sessions would cover all of these and much more. Sonia works to groom your vocal, visual and verbal skills, and takes your public speaking and presentation skills to a level that you would be proud of. Thank you so much for your hypnotherapy skills that have changed me! I really don’t feel the fear at all like I used to. I now even feel excited about public speaking! It’s so crazy how you have helped me overcome my fear and for me to where I wanted to be, which is enjoying it! You are brilliant! A huge thank you to you Sonia! I was always afraid about being exposed and to talk in public but now I know that I can deliver fantastic speech. Sonia is a gifted facilitator who has an abundance of knowledge that she truly loves to share. She has an engaging delivery style and everything she covers is incredibly valuable. I gained valuable insights and techniques. I really absorbed the info thanks to Sonia’s GREAT delivery! I feel a lot more prepared to take on the world – THANK YOU SONIA!! It increased my confidence greatly in conducting public speaking. The small class is perfect, so everyone has a chance to practise. I enjoyed and learned public speaking do’s and don’ts. Increased my confidence to speech in front of an audience. I want to say a VERY BIG THANK YOU to Sonia! Her Public Speaking course is absolutely BRILLIANT! Profoundly transformative for every interaction with another human, not just with an audience. I loved it, Thank you. 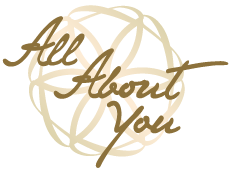 All About You centre and its founder director Sonia is doing phenomenal work in bringing about internal and external to a host of individuals. I personally see myself transformed internally. I have benefited greatly from this workshop and will apply all the lessons I have learnt. And I had fun. I felt so inspired and self-confident when I left – and it’s only an 8 hours training! WOW! I want to thank Sonia for such a fabulously structured public speaking workshop. I wish her all the best in her future endeavors. Being taken outside my comfort zone, on an uncomfortable subject, in a friendly, safe environment and learning how much fun public speaking can be. Dear Sonia, thank you so much for a wonderfully inspiring and knowledgeable session on public speaking. Coherent, professional and encompassing of the diverse group’s different needs. Very well done! Sonia Sonia. Your workshop was very informative and helpful! Thank you for all the effort you put into the day. You were very generous with your knowledge and time. Priceless experience. It was a positive experience to overcome my fear of standing up in front of strangers and to express my thoughts. I harnessed my fear and relaxed to express. FANTASTIC! I came to prepare for a TED talk and already feel like I am ready to deliver it.